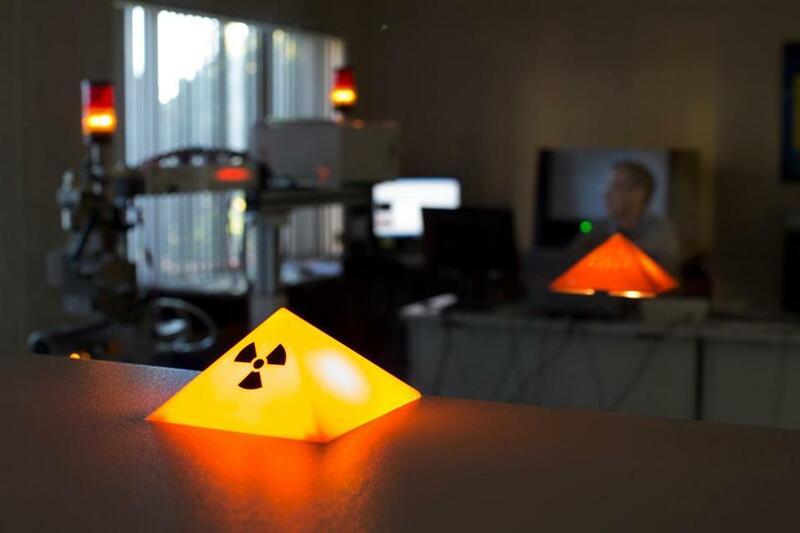 Bob Braunsdorf used an X-ray fluorescent machine, which does elemental metals’ analysis, at Continuum Energy Technologies. It was the high-flying, feel-good, do-good startup of the early ’90s, attracting the best and brightest from MIT and beyond. Molten Metal Technology held out the promise of recycling toxic waste by dissolving it in a bath of molten metal. Cleaning up the environment was becoming a thing, and investors were hopping on for the ride. Less than three years later, Molten Metal filed for Chapter 11 bankruptcy protection, laid off hundreds of employees, and eventually liquidated its assets. I bring up Molten Metal because last fall I wrote about Continuum Energy Technologies, a Fall River startup with a similar story: game-changing science, marketed brilliantly, but hard to commercialize. The company caught my eye because a Swiss heiress is suing the firm for allegedly bilking her of millions of dollars. Readers wrote in to say that Continuum is located at the old Molten Metal plant. They also told me that the principals behind Continuum are some of the same people behind Molten Metal. Tracking the history of Molten Metal Technology and Continuum Energy Technologies. 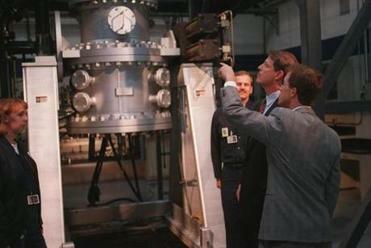 In 1995, Vice President Al Gore was given a tour of the Molten Metal plant in Fall River by CEO Bill Haney. Kevin Welch, executive vice president at Continuum, strongly disputes that. As the director of licensing at the Massachusetts Institute of Technology, John Preston was the gatekeeper of the intellectual riches coming out of a university known for cutting-edge research. In 1989, MIT doctoral candidate Chris Nagel met with Preston because he had a revolutionary idea for a startup. His research showed that chemicals found in hazardous waste — used motor oil, plastic containers, paint thinners, for example — could be rendered harmless by soaking them in a bath of molten metal hotter than volcanic lava. On a scale of 10, this was a 13, Preston said in interview with The Boston Globe in 1993. Preston brought in Bill Haney, a Mark Zuckerberg of his time. Haney started his first company while a freshman at Harvard, sold it, and then started another one that went public making him a multimillionaire before he was 30. Like Continuum, Molten Metal boasted impressive credentials and backers, making it easy to attract investors. The environmental company forged partnerships with Du Pont, Lockheed Martin, and Westinghouse. A Harvard Nobel laureate espoused the virtues of its technology in a slick promotional video for Molten Metal; years later he would also serve as an adviser for Continuum. What also helped Molten Metal was a cozy relationship with Gore. Executives gave tens of thousands of dollars in campaign contributions to Gore, a likely 2000 presidential hopeful. Their big play: Harvard football legend Victor Gatto. He was a Molten Metal executive, a classmate of Gore’s, and a legend because Gatto captained the Crimson’s comeback in the 1968 Harvard-Yale football game that ended in a 29-29 tie. Some believe that helped the company secure $33 million in federal grants from the Department of Energy. Molten Metal went public in February 1993, ultimately raising more than $350 million and employing nearly 500 people. By 1996, the company was in commercial production, cleaning up the country’s nuclear waste. Molten Metal, however, then became the focus of a Senate campaign finance investigation into whether it got favorable treatment because of its contributions to Gore. Ultimately, the investigation was dropped, but the damage was done. The political circus proved too much of a distraction for Haney, its chief executive. Layoffs soon followed. With the company running out of cash, it filed for Chapter 11 bankruptcy protection on Dec. 3, 1997. Shareholders sued officers and directors of Molten Metal, alleging fraud and misrepresenting the potential of its technology. Executives settled the case for $11.8 million, without a ruling of wrongdoing. Haney went off to work at environmental nonprofits and became a documentary filmmaker. Preston and Nagel, meanwhile, started a new company, Atomic Ordered Materials, headquartered at the old Molten Metal plant. Preston and Nagel again believed they had come across a scientific breakthrough with big commercial potential. This time, the technology seemed like a modern form of alchemy: changing the properties of matter. To them, it held the promise of better materials that could, for example, make more powerful computer chips. 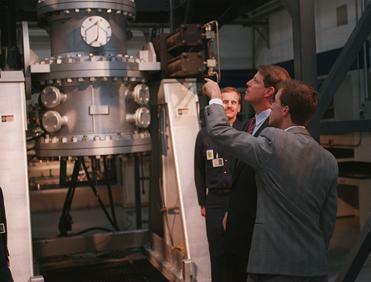 Like Molten Metal, Atomic Ordered Materials, later renamed Continuum Energy Technologies, impressed investors with its novel science and connections, including its chairman, Harvard Business School professor Michael Porter. That’s what attracted Swiss heiress Corinna von Schonau-Riedweg, who would eventually sink about $77 million of her fortune into Continuum and related ventures. Continuum has yet to commercialize its technology, and von Schonau-Riedweg now believes she was duped. She filed a lawsuit in Suffolk Superior Court alleging fraud and mismanagement that shrunk her investments to about $50,000. Earlier this month, a judge dismissed parts of the case, but allowed other portions of the case to move forward. Continuum has said that no investors have lost money. Like Molten Metal, Continuum has traded on its potential to change the world and make money. But will it be too hot to handle?